Increase your bottom line by adding Gehl�s Cheese or Chili Sauce to classic concession favorites like nachos, fries, hot dogs, bratwurst and more. 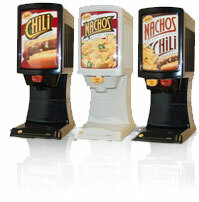 Let customers serve themselves from a dispenser that is quick and easy to reload and clean up. Gehl�s dispensers are known industry wide for their simple, reliable design and low per serving operation. Forget deep frying! Finally...hot and fresh Cheese Curds and Mini-Donuts prepared in an easy and simple manner. Good bye to the mess and safety concerns of deep frying. 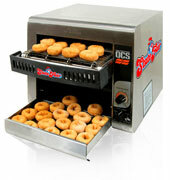 Founded in 1986, State Fair� Mini Donuts, Inc. has been making delectable and profitable treats available for over 25 years! Delicious Mr. GoodCookie� cookies are the result of carefully selected ingredients and provide cookie lovers their freshly baked cookie. 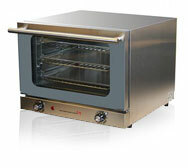 Pre-portioned and pre-formed dough are ready to pop in the oven, set the timer - and that�s all there is to it. Case counts are exact making it easy for you to fully understand your true portion costs. While others promise delicious, profitable and operator-friendly cookie dough, Mrs. GoodCookie� delivers! Want to learn more about Mrs. Good Cookie? Call you Sales Representative or out office today!